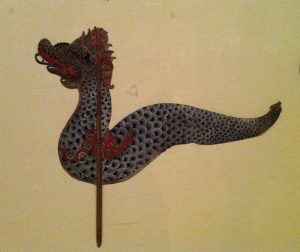 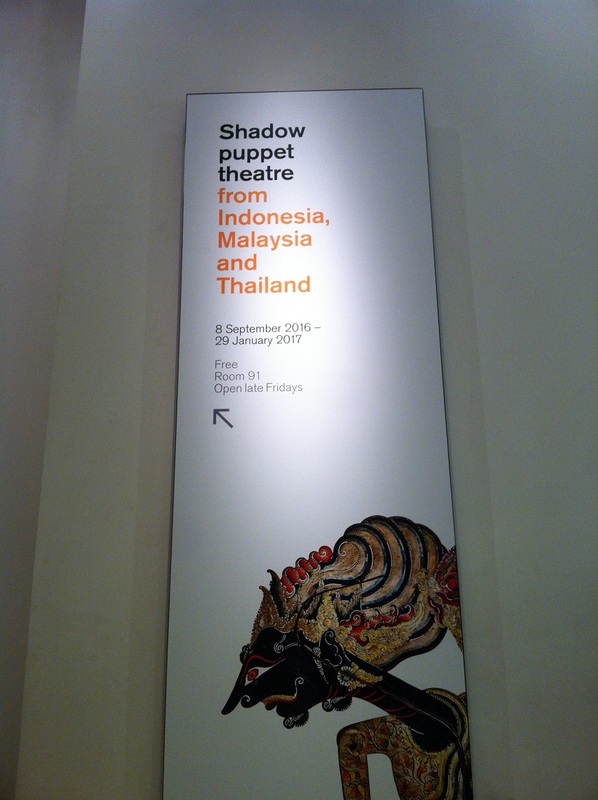 This post is about Sir Thomas Stamford Raffles, his antique shadow-puppet collection and his resting place. 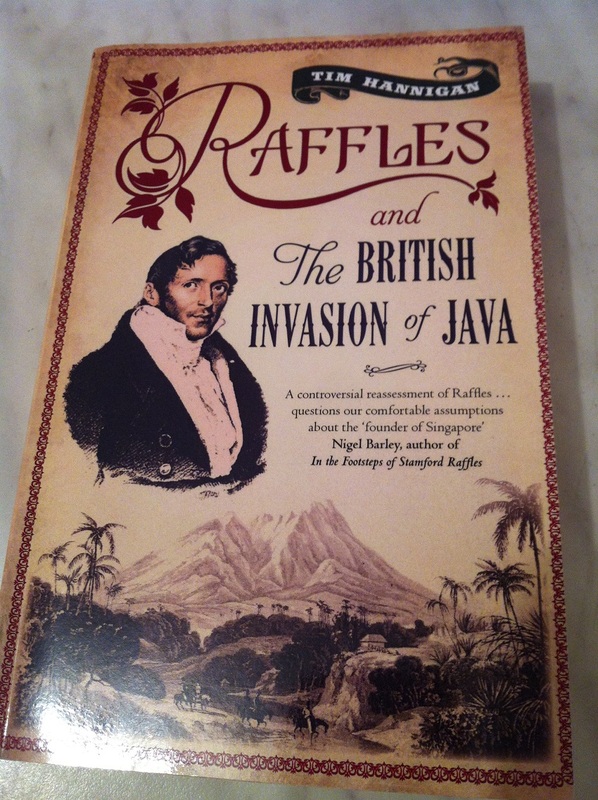 Stamford Raffles is a well known British statesman who governs Java in the 19th century. 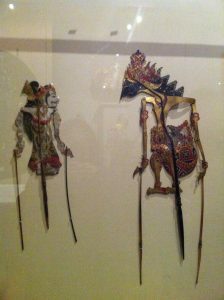 He is known as Lieutenant Governor of Java. Raffles is also known for his rediscovery of Borobudur temple. 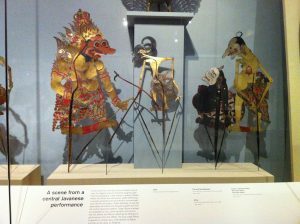 I can see his love of Java by looking at his fantastic collection of antique shadow puppets – currently at display at the British Museum. 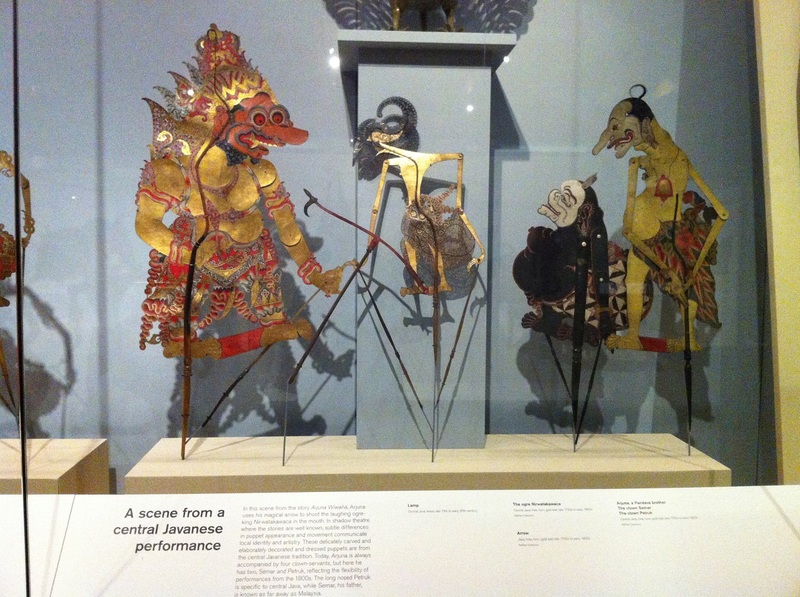 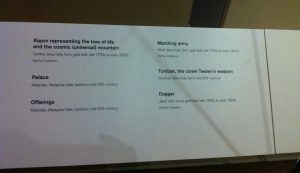 Some of the shadow-puppet shown here are the property of the British Museum. 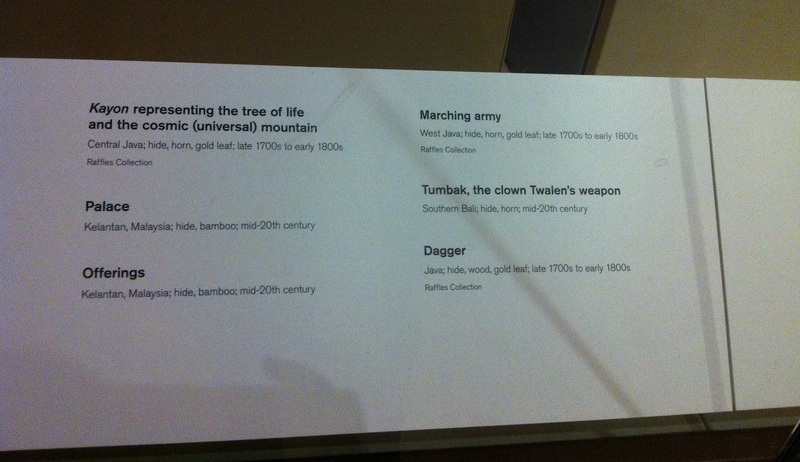 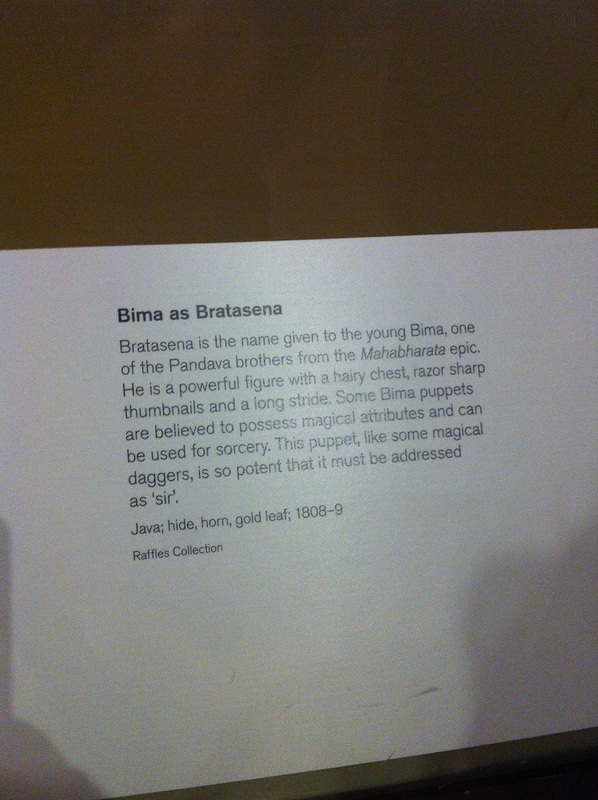 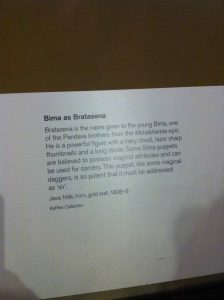 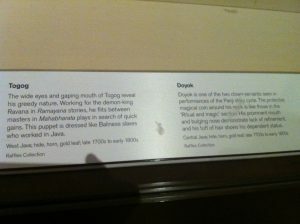 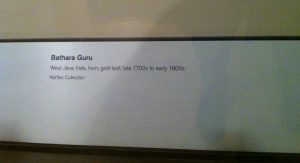 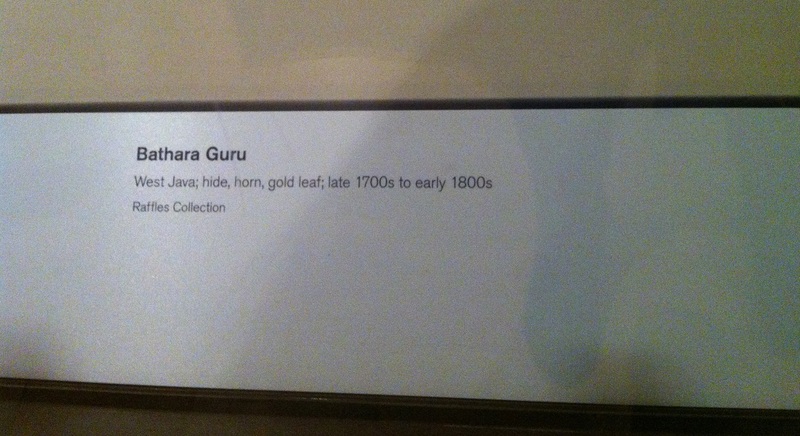 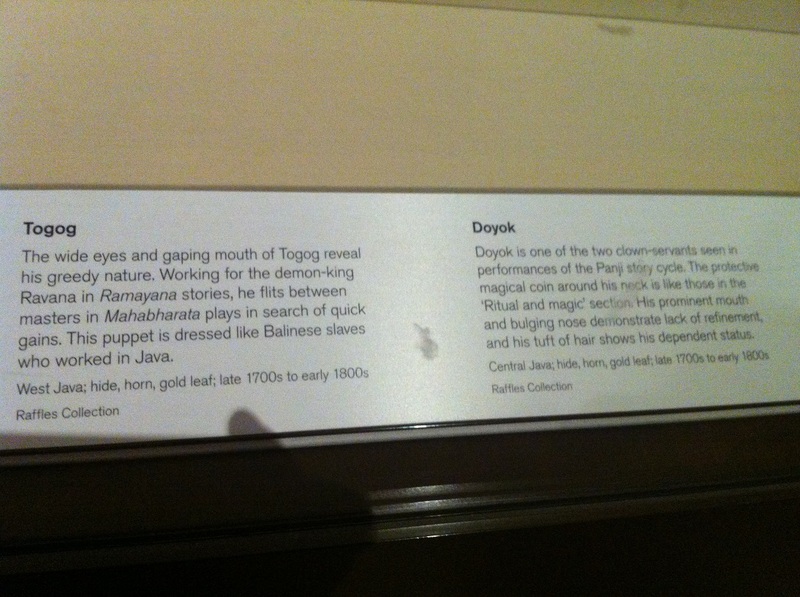 Thus, all credits/copyrights should go to the British Museum. Shadow puppet is also called ‘wayang’ in Indonesian. 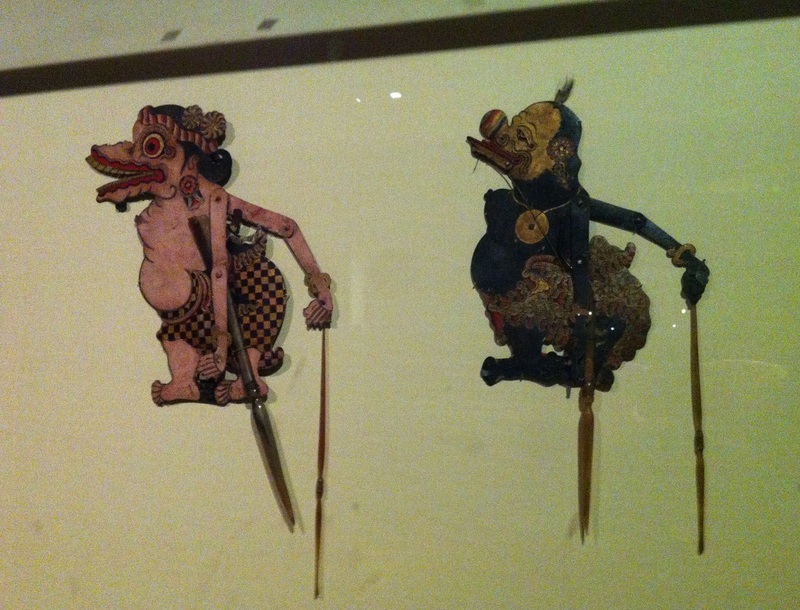 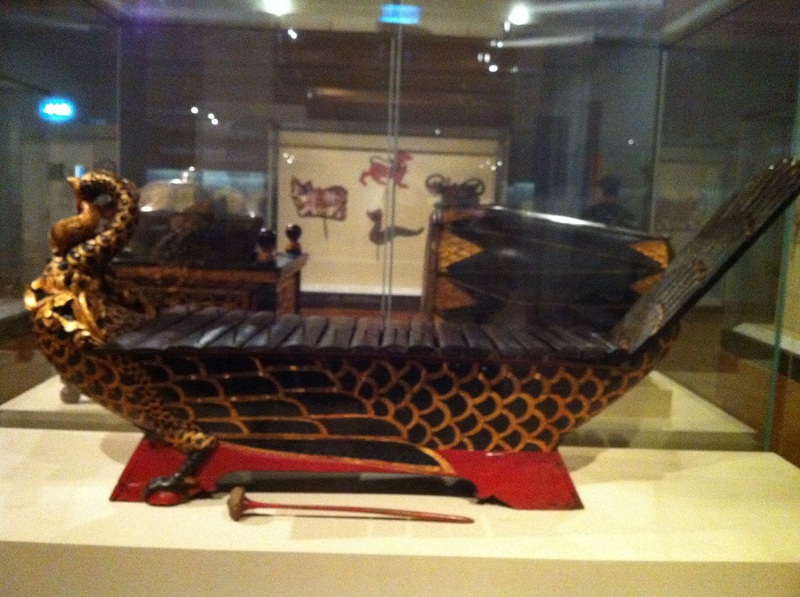 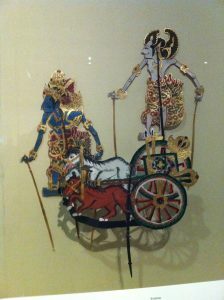 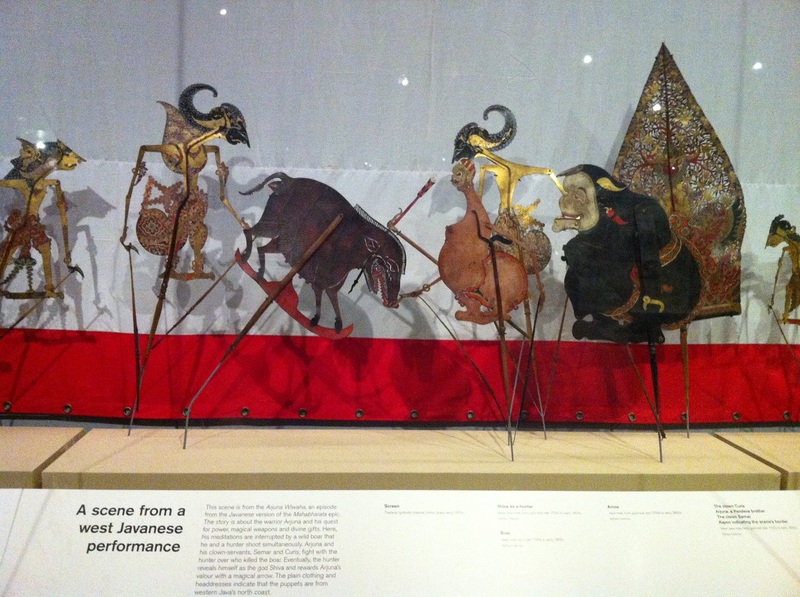 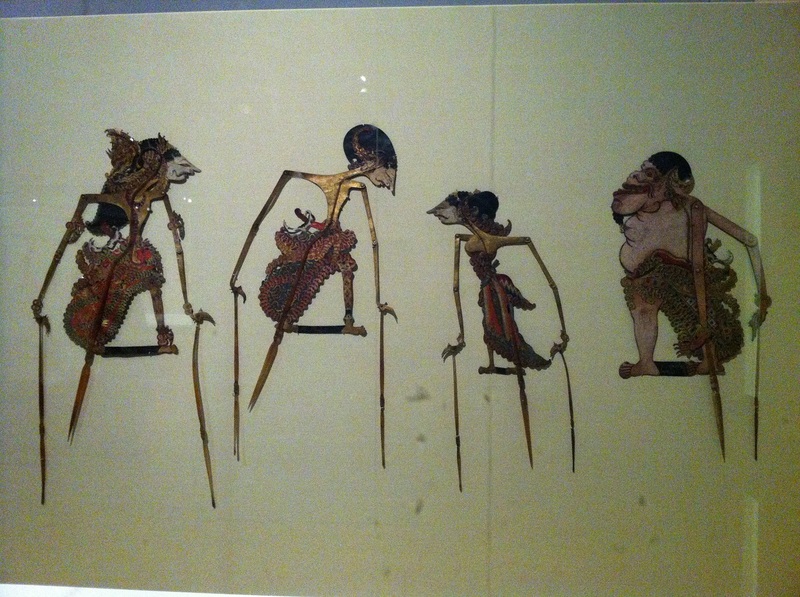 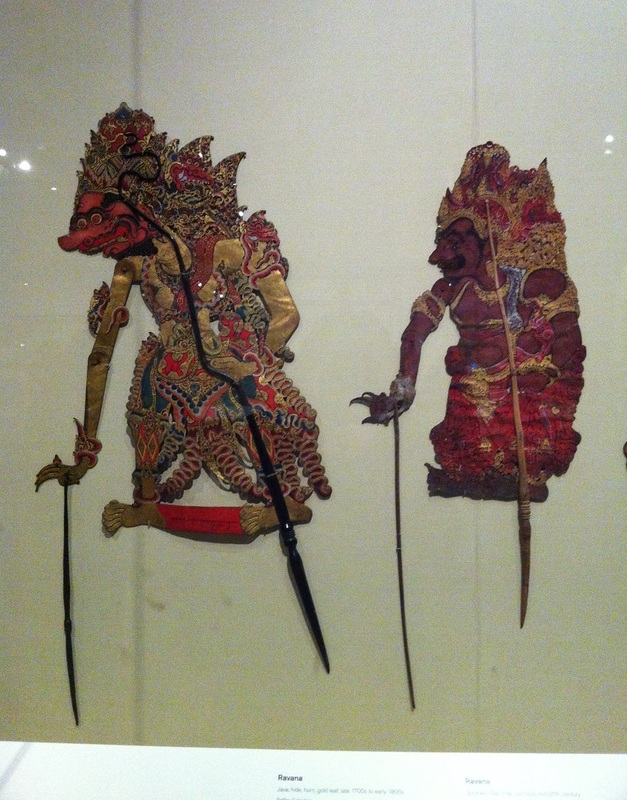 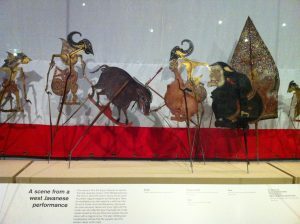 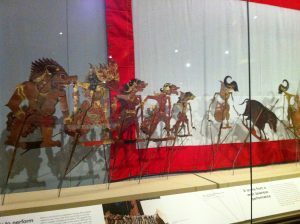 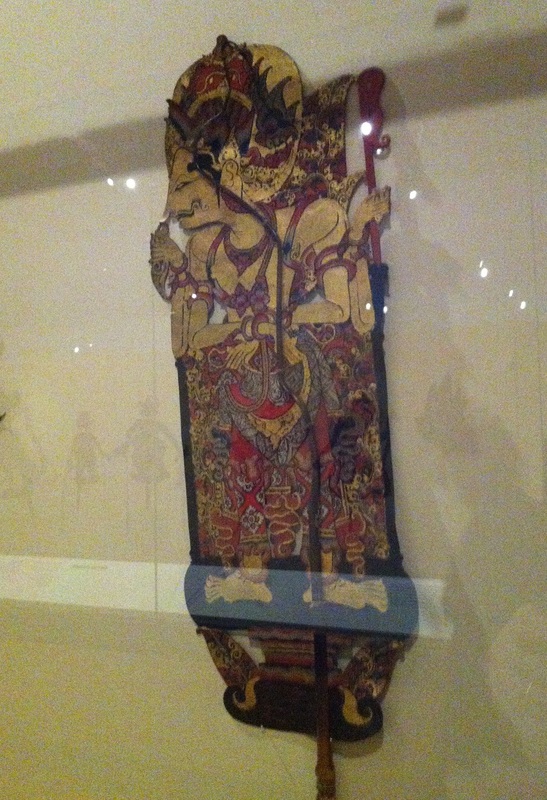 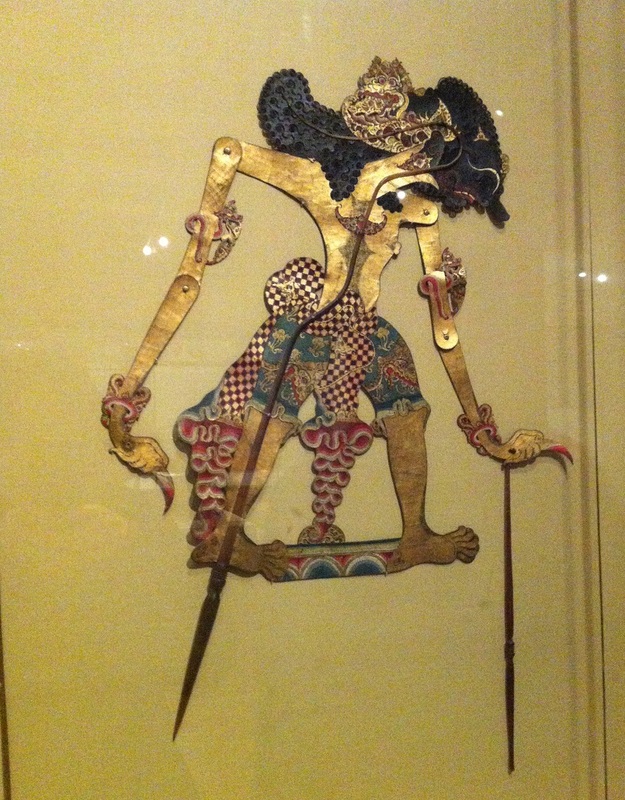 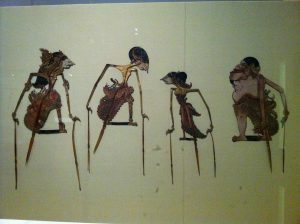 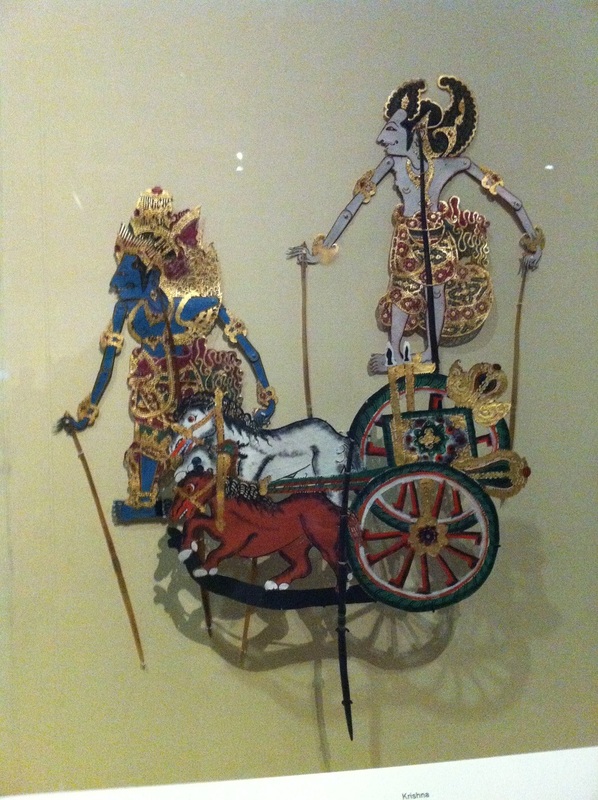 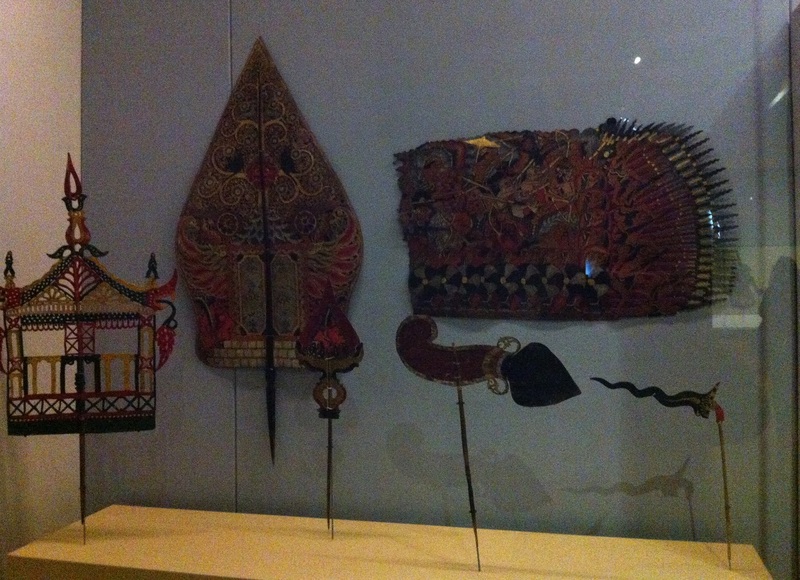 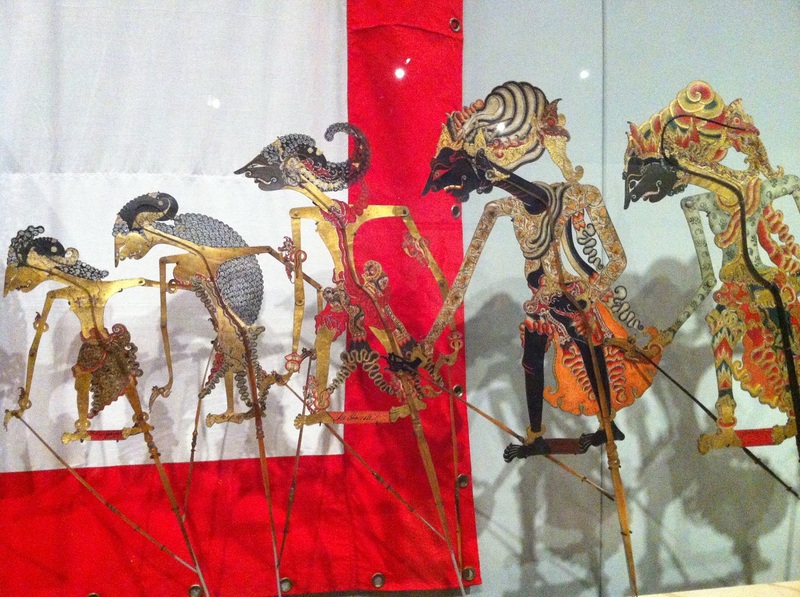 And most of the wayang on display here is wayang kulit – mainly made from hide (animal skin). I love all Raffles wayang collection as they are very delicate – some come with gold leaf – and they are particularly very old: from late 1700s to early 1800s. 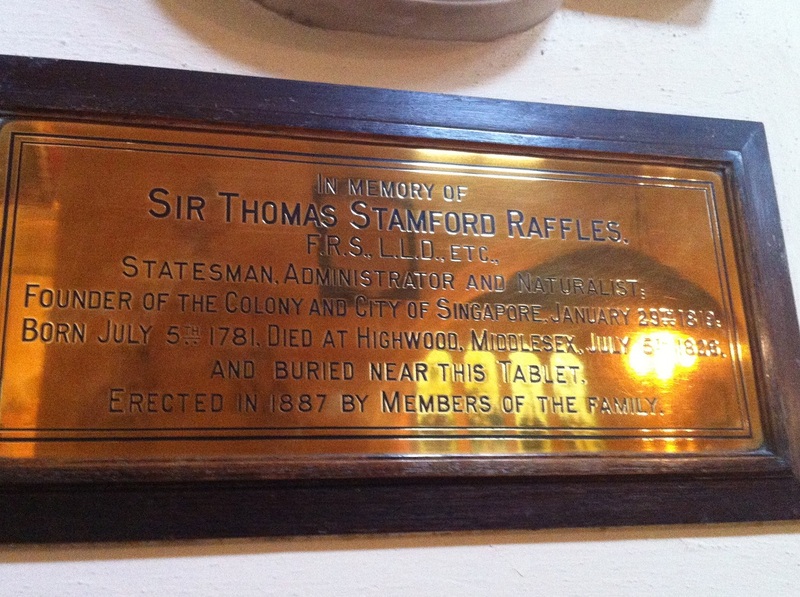 Now as I have admired Raffles collection, I want to share his burial place too. 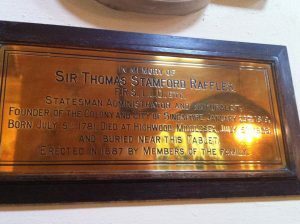 Probably a little less known as to where Raffles resting place is. 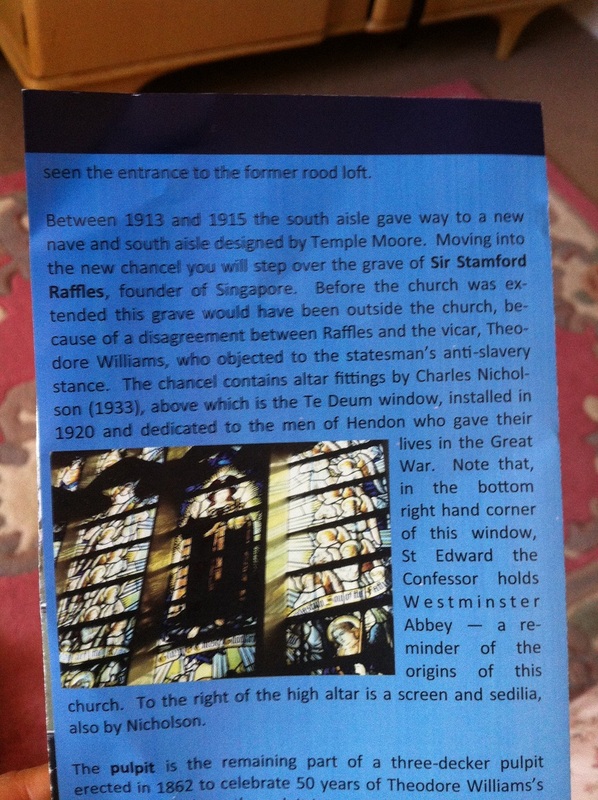 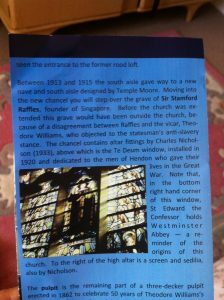 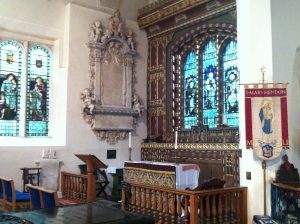 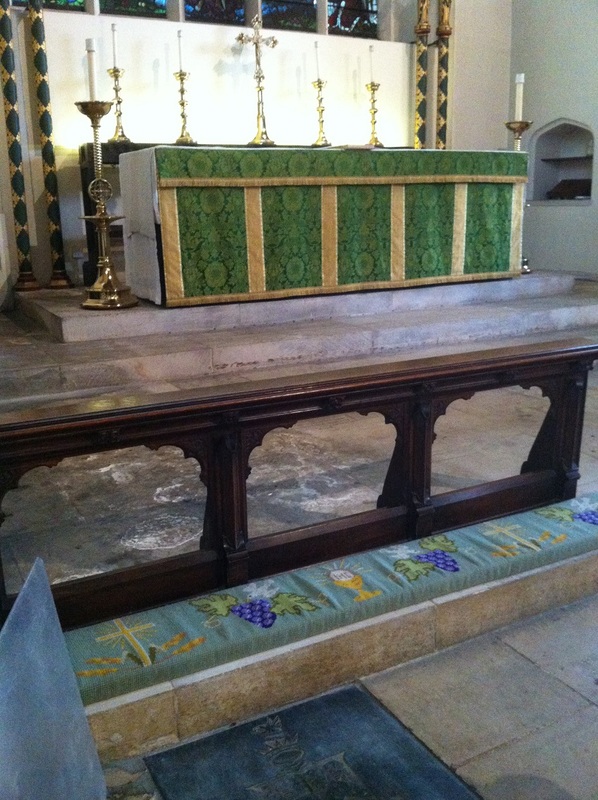 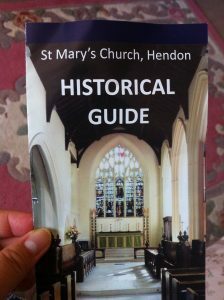 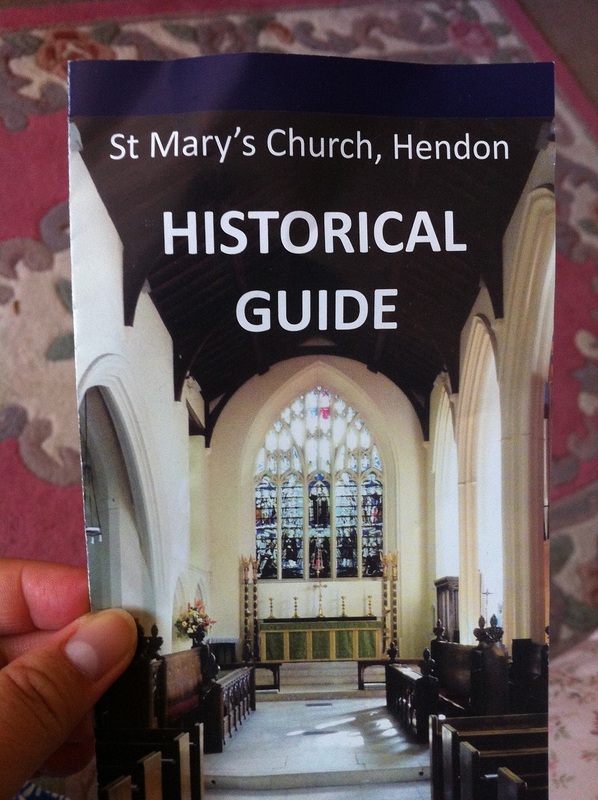 It is in a historic church in London, to be precised it is in Hendon. 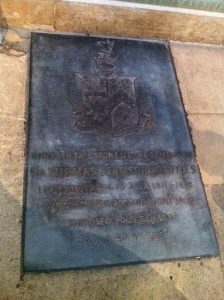 Raffles burial stone is laid close to the altar. 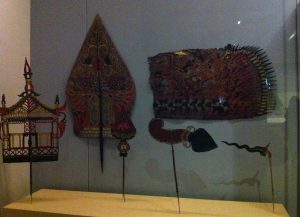 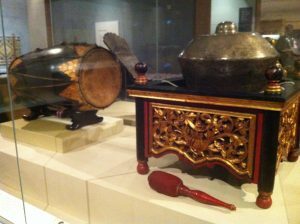 Looking into his collection and his resting place, remains me of remarkable history of Java and a dedication from someone who has a passion to preserve Javanese heritage.